The Roller Shutter Doctor is Sydney's Original Roller Shutter Repair Company, dedicated to Roller Shutter Services and Roller Shutter Repairs Sydney wide. 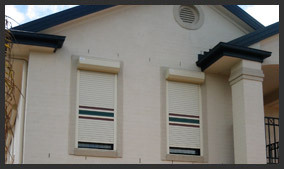 We have been offering our Shutter Repair Service to the Greater Sydney region since the year 2000. • Are you in need of a Shutter Repair or a Roller Shutter Service? • Is your Window Roller Shutter stuck and wont move? • Does you Winder Box or Tape need replacing? • Thinking of converting your manual operated Window Roller Shutters to an automatic 240 Volt electric system? You have found the right Sydney Roller Shutter Repair company for any Roller Shutter Service you require. 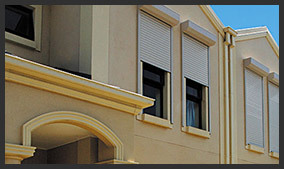 x any and all problems associated with your Window Roller Shutters, including Shutter Repairs and Shutter Services. Bankstown, Liverpool, Fairfield, Strathfield, Burwood, Lidcombe, Auburn, Botany, Coogee, Maroubra, Hurstville, Miranda, Cronulla, Sutherland Shire, Epping, Ryde, Gladesville, Lane Cove, North Sydney, Hornsby, Turramurra, Lindfield, Chatswood, Mosman, Seaforth, Brookvale, Manly, Dee Why, Curl Curl, Northern Beaches, Emu Plains, Penrith, Blacktown, Parramatta, Homebush, Concord, Drummoyne, Leichardt, Glebe, And all surrounding areas! nately point you in the right direction for any new Roller Shutter Installations you need. The Roller Shutter Doctor also specialises in Roller Shutter Motor Conversions and Shutter Motor Replacement, using only the Best and Most reliable parts available. x any of your Roller Shutter Repair issues. Sydney customers with any Roller Shutter Repair concerns, need not to look further. The doctor is in. Call or email us today for your Roller Shutter Repairs in Sydney. "We highly recommend The Roller Shutter Doctor for their workmanship and reliability. For over 10 years we have been very satisfied with their services." "We called several other repairers for quotes to repair our shutter and none of them came close the quoted price from The Roller Shutter Doctor. We were very pleased with the fast promt service and professional manner of the job with some added advice for preventative maintenance. I would highly recommend The Roller Shutter Doctor to anyone." © 2013 The Roller Shutter Dr. All Rights Reserved. Website by Modemedia.